SS Coyote sinks at her Chelsea dock. 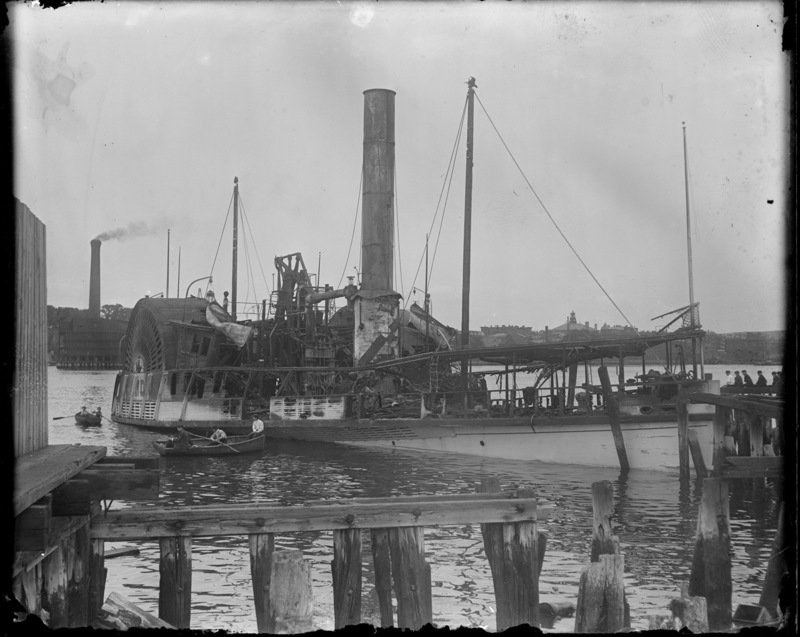 Steamer 'Catherine' Sinks at T-wharf. Crew of Viking waiting to be rescued off Newfoundland. Steamer 'Catherine' sinks at old T-wharf.